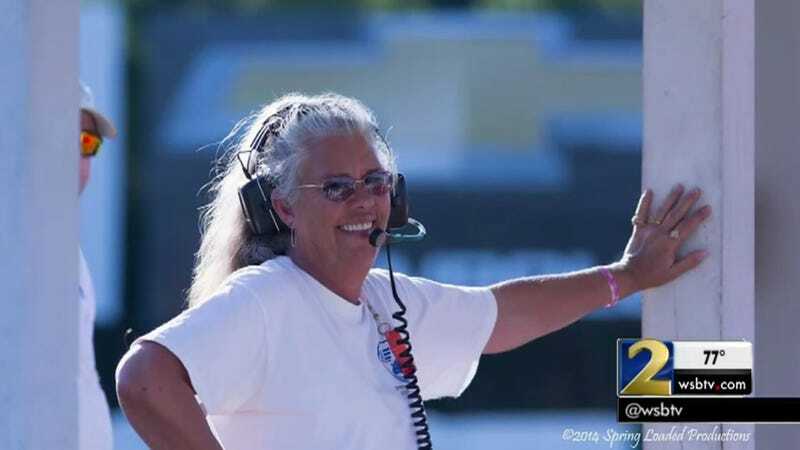 Longtime Road Atlanta volunteer Hazel Harrell died from injuries sustained after being struck by a motorcycle on Saturday, reports Roadracing World. Harrell was volunteering there as a corner worker at Road Atlanta’s Turn 7 during the WERA Cycle Jam racing event. She was 60. Harrell had been volunteering with the track for nearly two decades, most often as a corner worker at Turn 7. She was widely known by racers in the area as a cheerful, helpful figure around the track. Yesterday we lost Hazel Harrell, a woman who has worked Turn Seven for many, many years. She helped us staff the Corner Crew for our Cycle Jam this weekend. We will miss her and send our thoughts and prayers out to her immediate family and her racing family. We have a guardian angel on Turn Seven forever. My prayers are also with the rider involved that he heals in body, mind and heart. He got caught up in something that was no fault of his. The rider was injured in the incident but survived, reports WSB-TV. Additionally, Road Atlanta linked to a GoFundMe for Harrell’s family to cover funeral costs and other final expenses for her family.